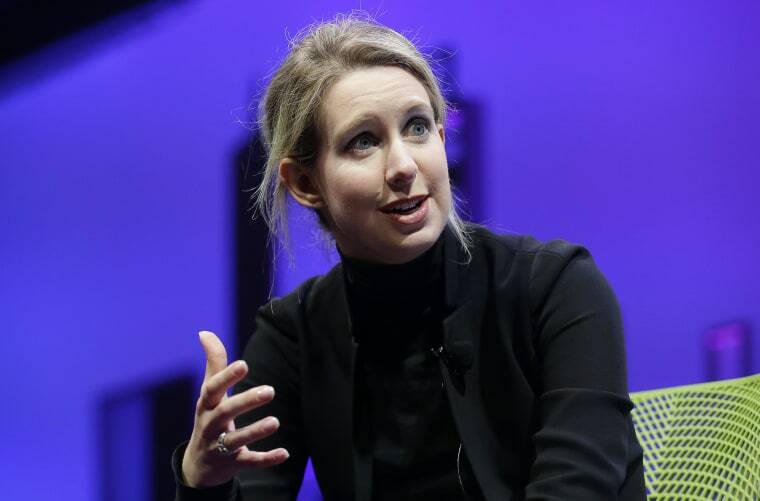 The Securities and Exchange Commission has slapped a "massive fraud" charge on two executives at Theranos, the Silicon Valley blood-testing startup that was once valued at $9 billion and promised to revolutionize the health care industry. SEC officials said Wednesday that the company's founder, Elizabeth Holmes, and its president, Ramesh "Sunny" Balwani, raised more than $700 million from investors "through an elaborate, yearslong fraud in which they exaggerated or made false statements about the company’s technology, business and financial performance." The tech wunderkind had promoted a new device that would run a battery of standard blood tests on a machine about the size of an office printer using only a single drop of blood. The promise was that it would simplify blood tests and return results within minutes instead of days. The only problem was the product never lived up to the hype. "At all times, however, Holmes, Balwani and Theranos were aware that, in its clinical laboratory, Theranos’ proprietary analyzer performed only approximately 12 tests of the over 200 tests on Theranos’ published patient testing menu," according to the complaint, "and Theranos used third-party commercially available analyzers, some of which Theranos had modified to analyze fingerstick samples, to process the remainder of its patient tests." Theranos and Holmes have already agreed to settle. As part of the terms she agreed to give up majority voting control and reduce the size of her equity. Founded by Holmes when she was just 19, Theranos — an abbreviation of "therapy" and "diagnosis" — quickly became a Silicon Valley darling and made its glamorous CEO into the world's youngest self-made female billionaire. But after an investigation by The Wall Street Journal uncovered regulatory issues and company labs failed FDA inspections, Walgreens walked away from a lucrative nationwide partnership and investors quickly turned their back on the healthcare "disruptor."